We mentioned a couple weekends back getting the chance to play around with some molding kits for a wedding related project. Well, we've finished up the first parts of this little project and have all the details to share with you today. 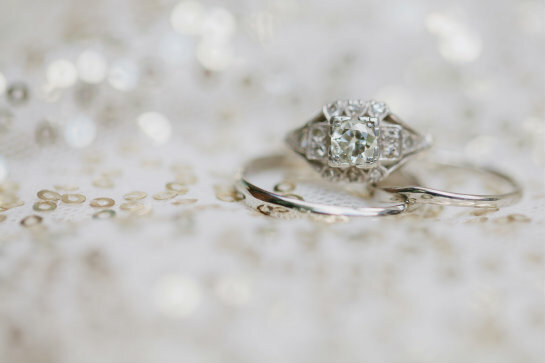 In looking for wedding bands, Tim and I both liked the idea of the fingerprint rings we've seen on Etsy. 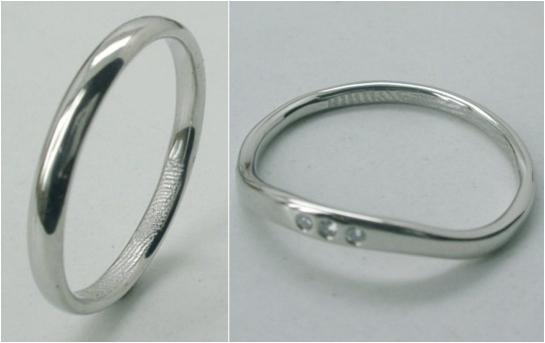 These jewelers are actually able to make rings with an imprint of your exact fingerprint anywhere on the ring. We liked the look of the ones with a simple and smooth exterior, hiding the fingerprint imprint on the inside of the ring — it's fun to think that one another's fingerprint will be wrapped around the other's when wearing the rings. We also think they could make for great keepsakes down the line. 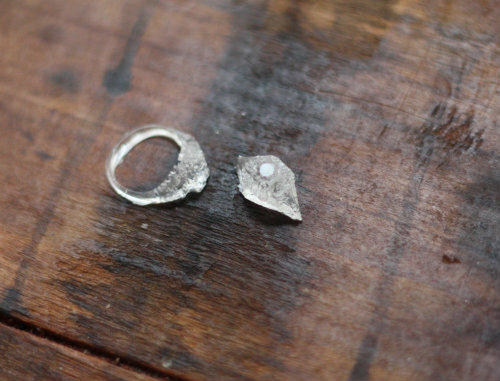 After much searching, we've begun the custom ring making process with a creative couple named Mika and Scott, who live and create jewelry together in Berlin, Germany. 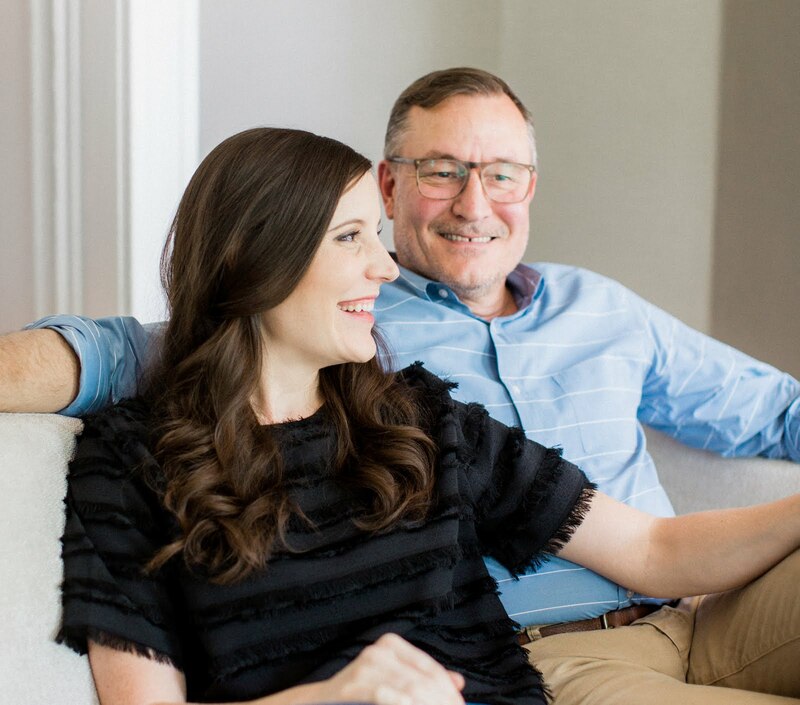 Mika is a German goldsmith and Scott is an American jewelry designer — we just loved the idea of a creative couple working together to create our rings. 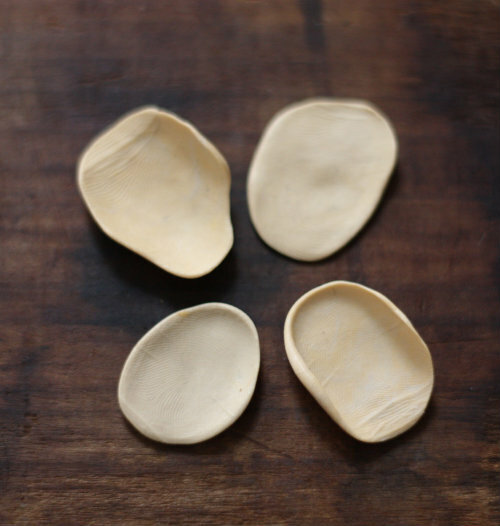 Find out more about them and view their collection in their Etsy shop, MikaScott. There were two parts to starting the ring making process — capturing a mold of our fingerprints and also getting a casting replica of my engagement ring to make a fitted set. 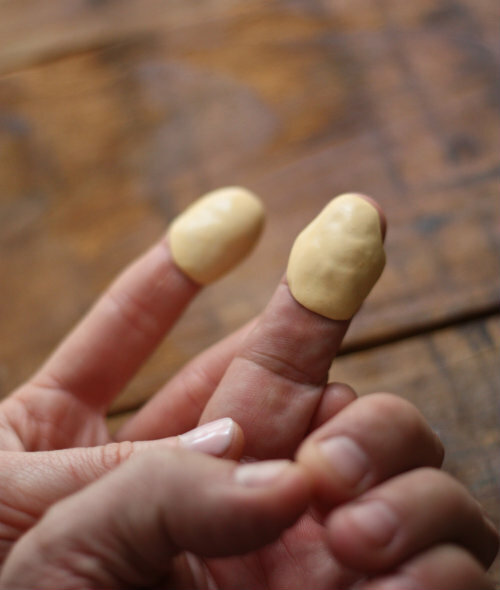 Let's talk about molding our fingerprints first. 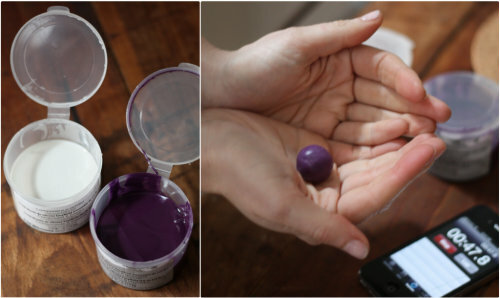 The kit came with thorough instructions and even a link to a video for how it works, but basically you mix the two different types (equal amounts) of putty together for about 1 minute, then quickly make your mold before letting it set — that's it! Pretty amazing and so fast! 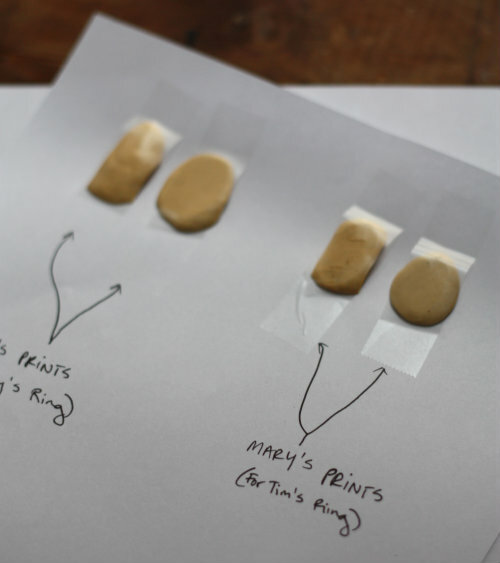 The second part of our molding expeditions came in the form of trying to make a replica shape of my engagement ring to send along with our fingerprints. Tim's band will be a simple circle, but I'm hoping to have a contoured band made so I can wear it with my engagement ring, so the ring maker needed an exact casting of the top and side shapes of the ring in order to make a custom set. 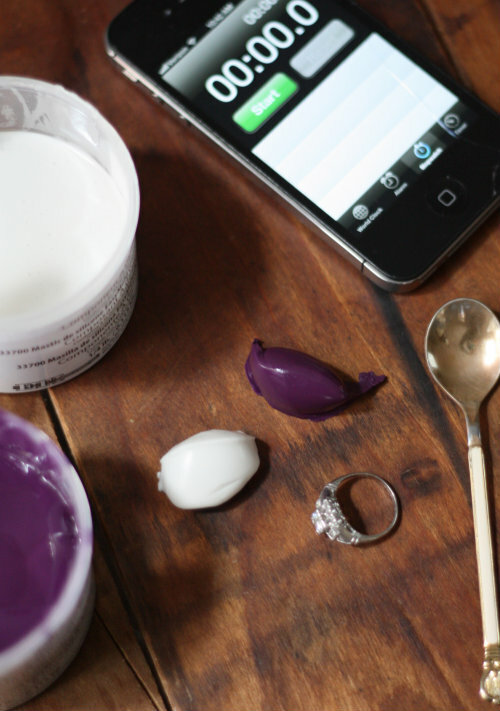 To make a replica of my ring, I picked up a basic silicone putty mold kit and casting kit from the craft store — you can find them in most any craft store or online. 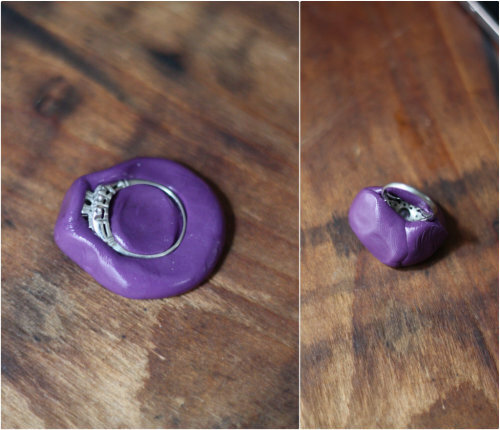 Once dry, the ring just popped right out of the mold and I was able to pour the clear casting medium right into the putty molds. 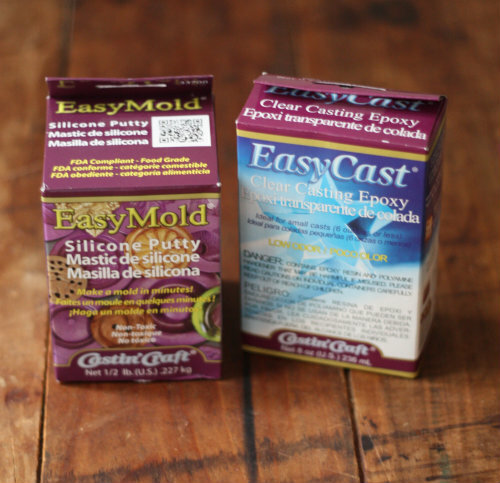 The casting medium was similar to the mold process in that you mix equal parts of liquid together before pouring into your mold. Pretty neat, right? This way, the ring makers will have everything they need to get working on our wedding bands, without ever actually seeing my ring. 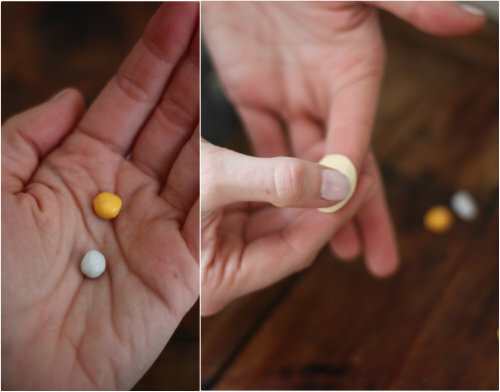 We are so excited to see how they turn out and you can bet we'll let you know here on the blog. See more from our wedding here. We had a lot of fun playing around with these molding kits. While one of my areas of focus was on metal jewelry making in college, I never delved deep into the area of castings, so it was inspiring to think of all the different uses one could expand into with mold making. 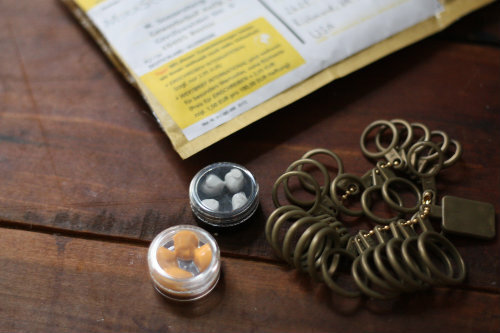 We have a lot of the putty and casting medium leftover from the kits since we only needed a small amount to get the ring shapes, so we'll have to experiment with other projects down the pike. So, that's one aspect of the wedding we've been up to! Do you have any meaningful stories or details behind the bands you chose? 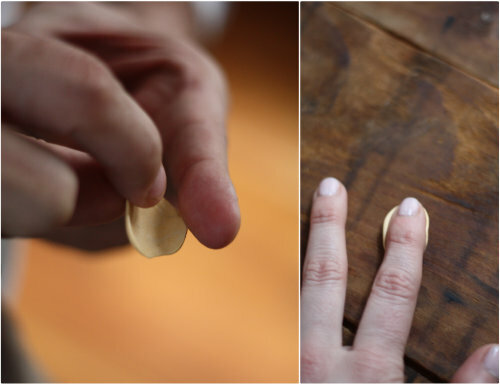 My best friend's husband used to play baseball growing up and in college and he had his wedding band made from the ash wood of an actual baseball bat (more from their wedding a pic of J wearing the ring here). The rings are going to be beautiful! When we celebrated our 25th anniversary last year (gulp) we had new rings commissioned in titanium and sterling silver. It was such fun to be in on the process. When I read the past post about molding something for the wedding I thought "Hmmm, wedding bands maybe?" So cool! And I'm with you I like the finger prints on the inside of the band too. hope theres no blood diamonds in those! kinda ruins the whole sentiment if so. Otherwise a cute idea. I think Mary's ring is an antique :) Plus, Mary and Tim are not the kind of people that would support blood diamonds. Thanks so much guys, we are eager to see how they progress! It is a fantastic idea. The rings are beautiful. So, I'd like to see the final product. Did you get any pictures of them when they came in? It's such a cool idea. Candy we will make sure to try and post some updated photos! Thanks for asking we do love them!